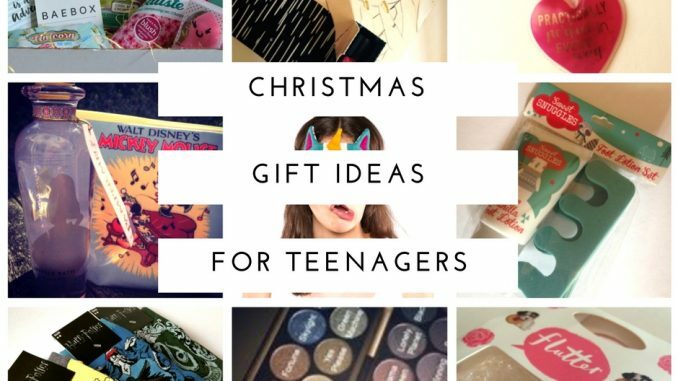 Settle back with a giant tin of gin, as today we have a mega-post stuffed with affordable Christmas gift ideas for teenagers. They can be quite a hard bunch to buy for, since everything they like is either digital (ie invisible, so no good for putting under the Christmas tree) or costs about a billion spondulicks. One thing I would say is that if you don’t particularly know the teen you’re buying for, there’s no harm in opting for cash. Or cash folded around a chocolate bar, if you really must have something to wrap. MAD Beauty – Just anything really. We looked at the new Disney range from MAD Beauty recently, and if you recall it was a ginormous hit with the resident teens. Fortune Favours The Brave with British Beauty Blogger Palette – I am just putting this here because my teenager pinched mine. So either I need to get her one of her own, or admit defeat and buy myself another one. 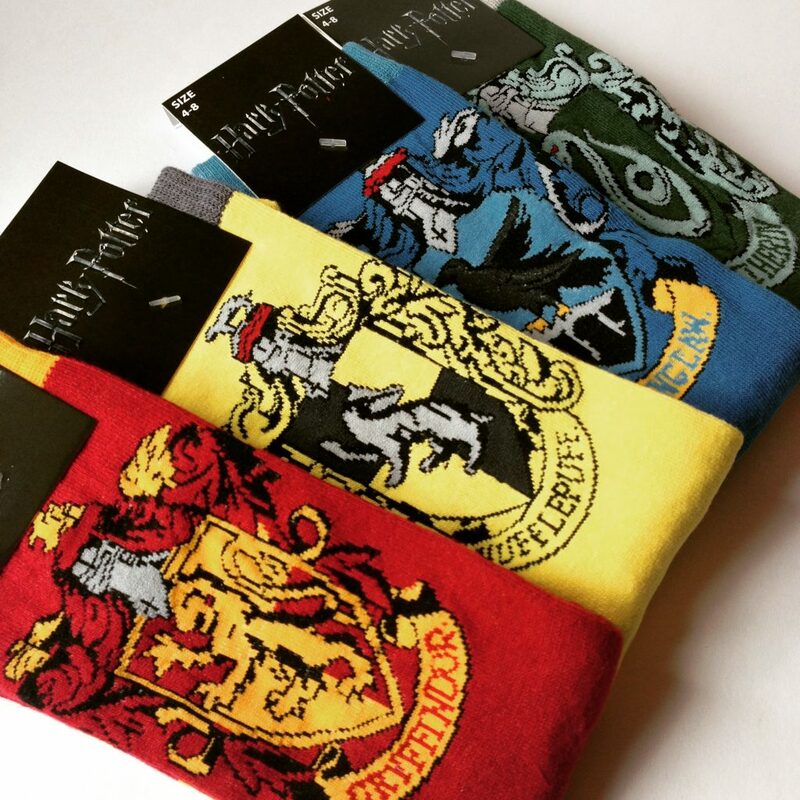 Harry Potter socks – What a bargain, four pairs of Harry Potter socks for £9 from The Sock Shop. Teenagers love a novelty sock. Don’t ask me why. Apparently these are especially good because Ravenclaw merchandise is hard to come by. The only problem with these is – who gets Slytherin? BaeBox for teens – This is a subscription box for teens aged 13-15, launching any day now, from the one woman powerhouse and original blogging superstar Rosie Shelley . The idea with this box is to introduce 13 to 15-year-olds to age-appropriate cosmetics and beauty products along with fun stationery and fashion items. Helping them grow up, but not too fast. This picture gives you an idea of what a Teen Baebox might contain, but the actual contents are a surprise. They also do a Baebox for girls aged 8 to 12 so younger sisters don’t feel left out. Pretty much anything from Superdrug – The trick here is to do your shopping online, or during school hours, so you don’t have to interact with any actual teens. Lots of pre-Christmas offers for cute things on right now. Oolom Sleeping Mask – Teenagers love to sleep don’t they? Why they couldn’t work that out about 12 years earlier I don’t know. 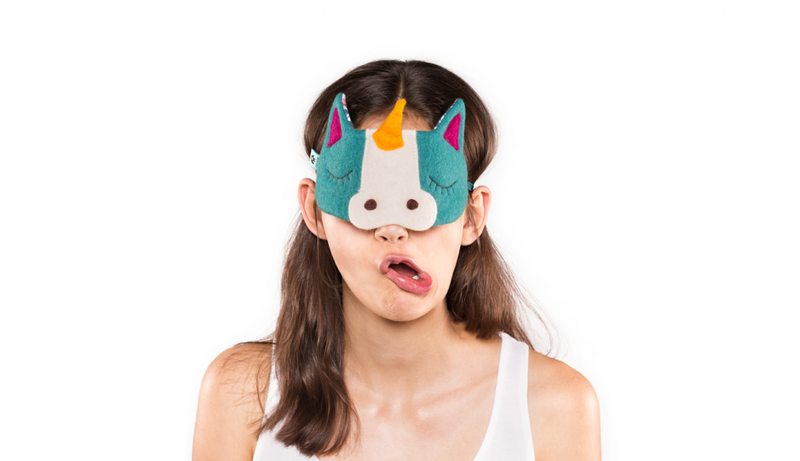 This is a really cute face blanket/sleeping mask that looks like the animal of your choice. I haven’t tried these but I think it’s just the sort of quirky/cute combination teenagers love so it’s On My List. Becky from SparklyMummy says her sixteen year old wants the new book from Dan & Phil. I have no idea who Dan & Phil are. Youtubers, apparently. But still – books! Books are good. Caroline at Lunchbox World says her teens are after all things tech, such as power pack chargers, wifi head phones, and into photography so filters, tripods etc. More tech from Jeanette at AutismMumma who has a teen and a nearly-teen. Both are very into iPads, one constantly wears headphones. Daughter (younger) into Minecraft, son more into watching random YouTube videos. Power packs would be on her list too, together with headphones that are robust, comfortable and don’t break easily. Danielle at Blog By Baby‘s son has requested a LEGO Death Star. Funnily enough, so has mine, and we’ve responded in the same way – those are for grown up LEGO fans with jobs. Jenny from The Brick Castle says her 18 year old son wants a graphics card for the PC he’s built, her 16 year old girl wants her provisional licence (she’s 17 in December), a year’s subscription to Spotify and the eternal ‘clothes’. Lindsay from Newcastle Family Life ‘s 14 year old wants a new iPhone, so they’re going to upgrade her contract early. She also gets concert tickets every year and lots of Lush gift sets. Similarly, Sharon from After the Playground says her 18 and 14 year olds want tickets to see Coldplay. Also her 18 year old would like a Lamborghini driving experience. I like the idea of tickets – experiences can be more memorable than stuff. Deborah from Country Heart and Home says her 18 year old wants driving lessons and her 13 year old wants Forza Motorsports (an Xbox one game). Lisa from That British Betty Blog says her 13 year old daughter wants an iPhone 7 for Christmas but to be honest, it’s not happening. Lisa misses the days of food gifts, books and magic. Don’t we all! Can I interest you in some magical socks Lisa? Michelle from Mummy 2 Monkeys ‘s 14 year old son also wants the new iPhone 7. Stay strong like Lisa, Michelle. Claire from Big Family, Big Fun is the proud parent to three teens – pass that woman a gin! “Eldest is 17, all ps4 games on his list then 15, she’s easier, books then 13, random crap from China is the easiest way of putting it!” I like how Claire is so relaxed about it all. Still though, send gin. 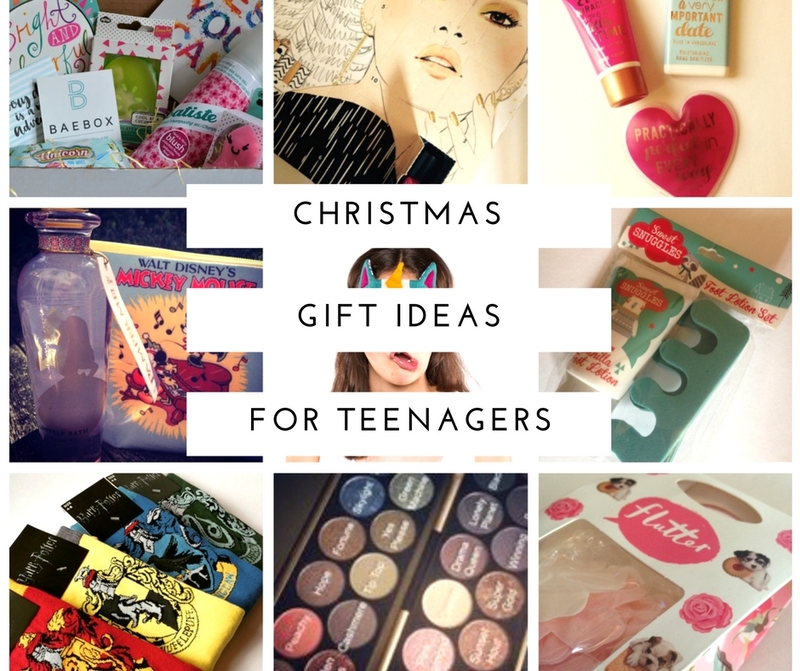 Gretta from Mums Do Travel says “My 13 year-old would like an XBox One and JD Sports vouchers, and my 18 year old would like some cash to spend on clothes.” And Nova from Cherished By Me My soon to be 18 year old daughter would love a beauty box subscription and help towards her driving lessons. Her 13 year old requests clothes, always clothes! I’m spotting a theme here. Sadie from Tiaras and Wellyboots has a newly hatched teenage son son who’d like a Xbox 1S so is saving Birthday money to add to Christmas money and is hoping he gets one for Christmas. And finally, Pippa from A Mother’s Rambling‘s daughter is after a 2 in 1 laptop, some computer games, some new dresses from places like River Island, H&M and Zara and she’d really like a hard cello case. She’s also thinking about getting some art supplies, some heels and plenty of books. Pippa’s family do a five gift thing (Something you want, something you need, something to wear, something to read and one other misc gift as well as a stocking) which sounds like a great idea.